Two million years ago, the early humans known as homo habilis lived in Africa. Nearly 450 light years away a new star was just beginning to form in the constellation Taurus. It’s now known as CI Tau, a T Tauri star about 80% the mass of our Sun. 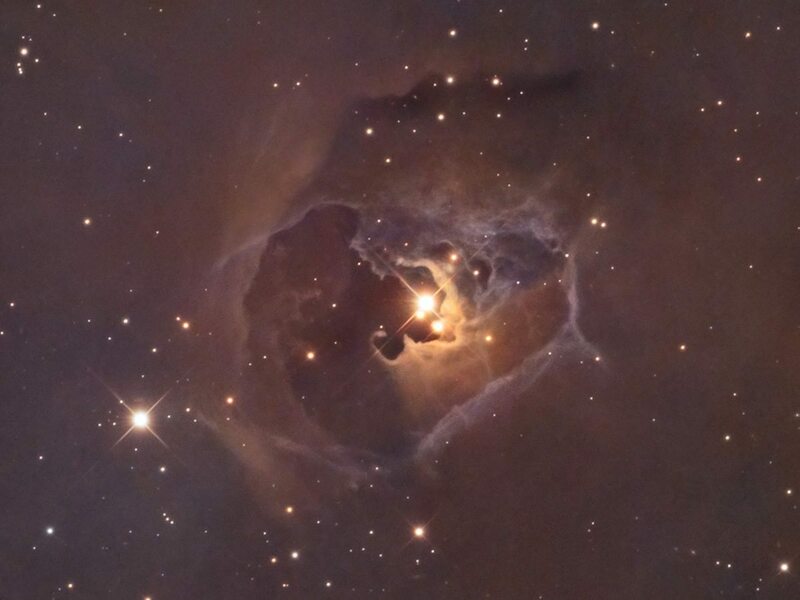 A T Tauri star looks like a red or orange star. Their surface temperature is a bit cooler than the Sun’s, but they are brighter than a typical main-sequence star of the same type. The reason for this is that they have not finished collapsing, so they are larger than a similar mass star. As T Tauri stars continue to collapse under their own weight, the surrounding gas and dust begins to flatten into a disk of material out of which planets can eventually form. We have several examples of planets forming within a circumstellar disk, but planet formation can be difficult to observe in very young stars because the surrounding gas and dust can obscure them from view. 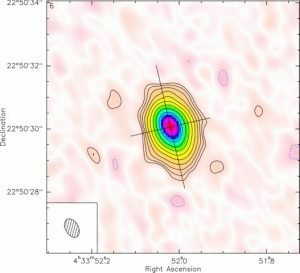 For CI Tau, astronomers studied the emission spectra of the star looking for small shifts in their wavelengths over time. These Doppler shifts are due to the relative motion of the star. Any planet orbiting the star will cause the star to wobble slightly. They found evidence of a planet about 11 times more massive than Jupiter, orbiting the star once every nine days. It’s a bit surprising that such a large planet has formed around such a young star. It demonstrates that planets can form quite quickly, and the formation of these early planets could affect the formation and location of smaller planets as the star system matures. Hmm, any word on what the photo is and who took it?